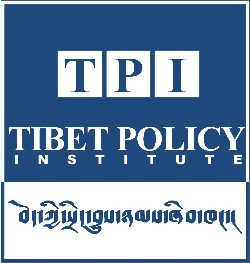 TPI will strive to serve as an intellectual hub for Tibetan scholars across the globe and to become an internationally recognized and effective platform for Tibetan scholars to articulate their argument on the issue of Tibet that will shape the perception of the international community and the policies of the various governments regarding Tibet and the Tibetan people. many young Indian students and researchers are taking interest in Tibetan studies. This conference primarily aims to connect, build networks and strengthen research interest in Tibetan studies. The three-day conference will cover seven major themes and presentation of papers by each participant. Some of the papers to be presented include studies, like Indo-Tibetan Relations in Dehradun: Case Study of Guru-Chela or Journey of Mutual Dialogue? Multiculturalism: Understanding Tibetan Refugees Struggle to reclaim identity, Implications of Ramayana in Indo-Tibetan Interactions: a study, Impact of Modernization on Different Sects of Buddhism in Ladakh (India), among others. Its good idea to promote spiritual and cultural India, Tibet relation. Hope, three day conference among intellectual brain exchange good ideas.